Help protect your investment with Shogun Bar Sliders, used by top AMA Pros. If you have ever had a close encounter with the tarmac you know the stock bar ends can dig into the pavement, sometimes causing more damage than their worth. Shogun Bar Sliders are designed to help minimize that friction, which in turn can minimize your repair bill. 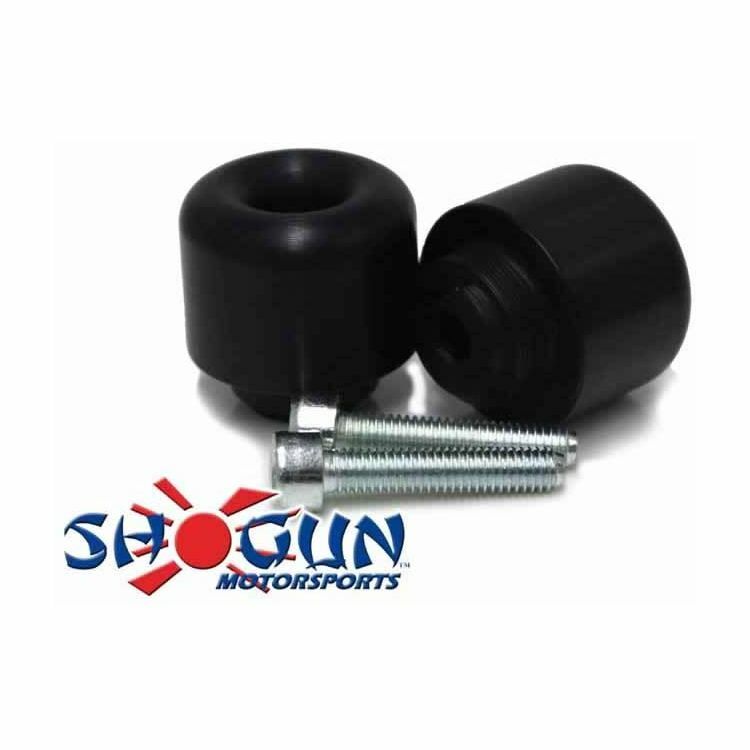 Each bar slider kit is CAD designed for each motorcycle model, Shogun Bar Sliders are CNC machined, with the highest grade steel bolts and aluminum inserts as required. Note: Image for reference only, actual Shogun Bar End Sliders will vary slightly depending on your motorcycle's make and model.